At their core, these arguments are just a variation of the fundamentally flawed argument that scientists shouldn’t be trusted because they have been wrong in the past (debunked here). Nevertheless, I want to look more closely at these examples, because not only do they not work, but they actually strongly oppose anti-science positions. Let’s start with Columbus. The common trope which we are all familiar with is that everyone in Columbus’s day thought that the earth was flat and Columbus would simply fall off of the edge if he tried to sail around it, but he thought that the earth was round and you could sail from one side to the other. That story is, however, nothing more than a wonderful fairly tale. No one in Columbus’s day thought that the earth was flat. The idea that the earth is round dates all the way back to the Greek philosophers, and it was nearly universally accepted well before Columbus set sail. So the debate in Columbus’s day was over the size of the earth, not its shape. You see, the most widely accepted estimate of earth’s circumference in Columbus’s time was 40,250 to 45,900 kilometers (25,000 to 28,500 miles), but Columbus thought that it was much smaller, only about 30,200 kilometers (18765 miles). So the debate was not about whether or not Columbus would fall off the edge of the earth. Rather, the debate was about whether or not he could survive such a long voyage. The ships of that day could not carry enough supplies to make it all the way to the other side of the planet if it was actually 40,250 kilometers in circumference. So people thought that his voyage was fool-hardy because they thought that he would run out of supplies part way. Now, here is the really important part: Columbus was wrong! The actual circumference of the earth is 40,074 kilometers (24,901 miles), which is remarkably close to the well-accepted estimate in Columbus’s day, and way off from the number that Columbus had calculated. If it hadn’t been for the existence of North America and the Caribbean islands (which were previously unknown to most Europeans), Columbus and his crews would most likely have died. In short, yes, Columbus was ridiculed, and people did think that he was crazy, but their derision was completely justified! Just like the modern anti-scientists, he ignored the well-established science and plowed forward, blindly following his own ignorance with reckless abandon. So, to any science deniers reading this, by all means compare yourself to Columbus, because you actually have a lot in common with him. You both have “done your own research,” you both definitely ignore experts and the scientific consensus, you both allow your biases to cloud your judgment and drive you to make dangerous decisions, and you are both dead wrong. Let’s get a couple of things straight about Galileo. First, he got in trouble for claiming that the earth moved around the sun, not that the earth was round. As explained above, everyone knew that the earth was round long before Galileo. Second, no one accused him of being crazy. There were people who thought he was wrong, but he was never viewed as a raving lunatic. Further, he had support from many of his fellow astronomers. A large number of his colleagues thought that he was right. The people who disagreed with him were, in many cases, disagreeing because of religious reasons, not scientific reasons. In other words, they did not like the implication that the literal interpretations of certain Biblical passages (such as Joshua) were wrong; therefore, they insisted that Galileo must be incorrect. Let me describe this another way. One one side, you had Galileo with hard facts, careful observations, and rigorous calculations. On the other side, you had religious fanatics who were blindly rejecting Galileo’s facts because those facts didn’t agree with their preconceived biases. To be clear, there were also astronomers who disagreed with him, but it was the religious implications that really got him in trouble. Also, the astronomers who disagreed with him weren’t doing so because they had strong evidence that said he was wrong. Rather, they were disagreeing with him because he was proposing a fundamental shift in how we view the world (i.e., a rejection of Aristotle’s views of matter and motion). In other words, they were disagreeing with him because he was arguing against their biases and preconceptions, not because they had opposing evidence. Now, let’s apply that to the modern anti-science movement. If you are arguing against climate change, vaccines, evolution, etc. you do not get to invoke Galileo because in any accurate analogy, you are the religious fanatics (or the astronomers who blindly clung to Aristotle). For example, when it comes to climate change, on one side we have scientists who have collected an enormous mountain of data and published thousands of studies, and on the other side, we have the deniers who have no data and rely instead on personal biases and logically invalid arguments like, “well it changed naturally in the past, so it must be a natural change now.” Similarly, we have thousands of studies which show that vaccines are safe and effective, yet those studies are opposed with anecdotes, “mommy instincts,” and fear-mongering. In short, the idea that Galileo was a ridiculed rogue who dared to defy the consensus and turned out to be right is completely inaccurate. He certainly challenged the views of his day, but he did so with actual evidence, and many scientists realized that he was right. That is completely and totally different from claiming that the studies showing that vaccines don’t cause autism must be wrong because you know someone who was vaccinated and got autism, or that some “miracle cure” must work because you’ve done “thousands of hours of research” and the internet has assured you that it is legitimate. If you have numerous properly conducted, carefully controlled, peer-reviewed studies, with large sample sizes that have been replicated by other independent scientists and show that homeopathy works, GMOs are dangerous, acupuncture is effective, evolution isn’t true, etc. then you get to be Galileo. Until then, you are the religious fanatics who are opposing progress because of your own biases and misconceptions. This entry was posted in Uncategorized and tagged Bad arguments. Bookmark the permalink. According to one popular history book, Columbus’s problem was a misunderstanding of measurements. He relied upon an Arab scholar who had come up with a pretty accurate number for the circumference of the world, but who used other (longer) miles than Columbus did. If this is true, it’s an understandable but obviously embarrassing misunderstanding. The Galileo card. Added to my growing collection of resemblances between climate change denialists and evolution denialists; see my comments (here: https://paulbraterman.wordpress.com/2015/09/08/yes-there-is-a-strong-consensus-on-climate-change/) on your earlier post (here: https://thelogicofscience.com/2015/09/08/yes-there-is-a-strong-consensus-on-climate-change/). Thanks! I really appreciate all of your support my blog, btw. I don’t doubt that you are right and the conventional wisdom is wrong, but you provided exactly the same number of references as those that you disagree with so your theory is literally baseless. He isn’t writing a scholarly paper – more like a commentary. I assure you, he is a scholar who can provide references in the appropriate venue. But the fact (yes FACT) that he got it right is something you may wish to argue providing all of the scholarly with references (not religiously biased) papers you can find on the topic. My bet? You cannot do that Mr. Jones. Very nice and interesting article from Fallacy Man. Can anyone understand Dan Jones comment? Plus his misunderstanding of what a theory is when discussing science? Many people disagreed with Galileo for very scientific reasons. They had absolutely no data to suggest the Earth revolved around the Sun; before the telescope, every bit of evidence suggested that the whole universe orbited Earth. It may be clear today that the sun is the center of the solar system, but in the 1600s there were more than 2000 years of established observations and calculations to demonstrate an Earth-centered universe. Galileo was working against Occam’s razor, and he needed to gather extraordinary evidence. Until his observations were combined with the works of Newton, Copernicus, and others, and the observations and calculations to support a sun-centered solar system began to stack up, there was no scientific reason to believe his (at the time) hypothesis. There was far more than religious fanaticism working against him. As I said, there were scientists who opposed him for non-religious reasons, but, the lacked hard evidence. You are correct that casual observations of the night sky (wityhout the aid of a telescope) did seem to support a stationary earth, but Copernicus had already explained the math of why the earth was actually moving long before Galileo. 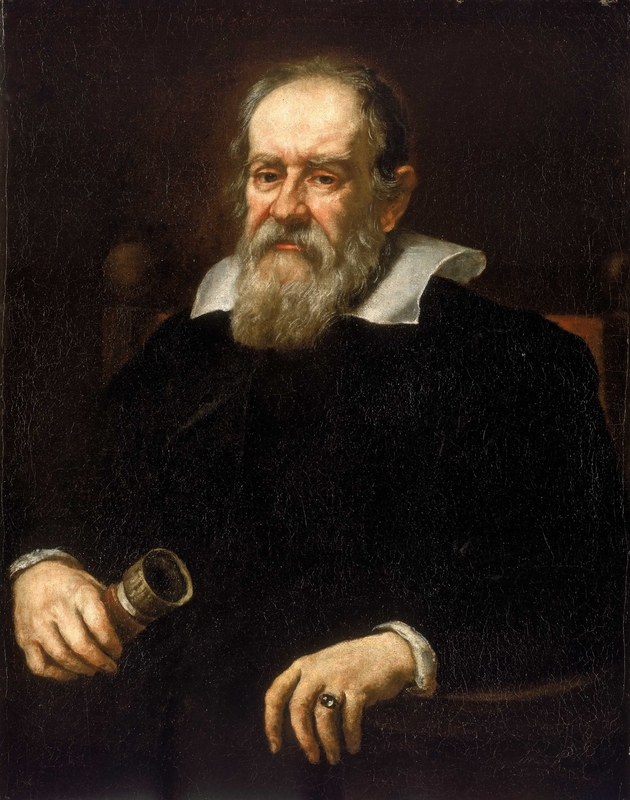 What Galileo did was support that math with direct observations and further calculations. In his work, he very carefully explained why his observations and Copernicus’s calculations were correct, and the casual observations were wrong. So your assertion that there was no reason to think he was correct until his results were combined with other calculations is erroneous because he combined his results with the calculations in his publications. I also completely disagree that he was working against Occam’s razor. The most parsimonious explanation for his observations was that the earth was moving, so it was his opponents who were fighting against Occam. In short, Galileo was arguing against very tightly held views (both religious views, and views about nature), and that is why people opposed him (not because they had strong conflicting evidence). So either way, my central points stands. Copernicus came before Galileo, and was only partly right. Copernicus proposed a heliocentric view of the solar system, but had perfectly circular orbits. It was Kepler and Brahe that proposed elliptical orbits (they;re calculations were correct). Galileo went on to prove this through the use of a telescope. IIRC, Kepler established an elliptical orbit from mis=match between obesrved, and what a circular orbit would require. He even worked out Kepler’s 3 Laws (elliptical orbits, equal area in equal times, and how time for a cycle varied whiwth distance from the sun). Galileo observed the phases of Venus, thus refuting a simple geocentric astronomy, although Brahe’s hybrid is irrefutable from observation alone because it differs from geocentric reality only by a coordinate transform. Except without Newtonian physics and the measured stellar abberation in 1735 (http://curious.astro.cornell.edu/our-solar-system/41-our-solar-system/the-earth/orbit/88-is-there-a-proof-that-earth-moves-intermediate), there was no direct observational evidence of a moving Earth. Ptolemy may have been disproved, but the Copernican mathematics also worked with an earth centered Tychonic system. The best evidence Galileo had for a mobile earth was the tides, which people today as much as in the 17th century agree is not direct evidence the earth is moving. Also, Galileo was put on trial for insulting the Pope. Religious fanaticism, sure, but not because of bad science. My favorite statement was in the time around 1900 there were about 4 things left undiscovered in the field of Physics… Then look what happened…. Too many scientists now are just “Yes Men” to established theories. And those same scientists ignore one or two anomalies while just repeating “gospel science” sort of like the author above. Science will never grow and change if we do not question the established world of knowledge, and some of those questions are “way out there….”. 1) Why do neutrons remain relatively stable when within a nucleus but decay with a half life of 18 seconds once removed from a nucleus? 3) Why are we still using the “Droplet ” model to describe nuclear structure? When we have so much data that would allow a better description. 4) What is the actual method of Nuclear binding? i.e. Why do neutrons bind to protons and each other in some ways but not in others. 5) Why do neutrons have no charge but have have a non-zero electric/magnetic dipole moments? 6) How do you determine which galaxies in space are made of matter vs antimatter? Big bang theory says should be close to 50 / 50. I have the ability to answer all these “mysteries of modern science” and many more. But my book when published will almost certainly get ridicule from people like this article’s author. Does that bother me…. No… It is the right of passage for any scientific concept…. But I would provide little credence to “Scientists that only propose the official view of things” Because they will never have the ability to expand science, and go back to remove the errors that block us from the next great discovery. And if a scientist does not believe that there are no errors in the past….. Then they should look to another field of endeavor since history shows scientific knowledge is always shifting and refining itself. No. “the right of passage for any scientific concept” is not via a book but through peer review and subsequent publication. If you’re hypotheses are groundbreaking you should write a paper. If you are concerned that reviewers will reject your manuscript because they are what you call “yes men”, then approach some universities and find some that are willing to have a serious look. You should be able to find someone. If not, well, good luck with your book. You’ll make some money I’m sure, but you won’t win any Nobel prize. There are obviously questions that scientists haven’t answered yet. If there were no more questions, then there would be no need for scientists, but that doesn’t in anyway invalidate science. I resent the notion that scientists are simply “yes men.” I am a scientist, and I work with other scientists. We all get up every day and try to answer questions, try to further our understanding of the universe, and nothing excites us more than finding evidence that contradicts a mainstream view. Let me say that again, there is absolutely nothing better than finding a result that you didn’t expect. So we are all about challenging the consensus, but here is the really important part, we have to have good data. “Extraordinary claims require extraordinary evidence.” If you are going to contest a widely held view, then you are going to have to have exceptional experiments, and incontrovertible data. uknowispeaksense is correct that in science the proper venue for this is the peer-reviewed literature. If you truly do have good answers to the questions that you raised, then I would strongly encourage you to try to publish in the peer-reviewed literature rather than a book. Further, if the reviewers reject your papers, take their criticisms seriously. Examine their arguments and see if perhaps they are actually correct. Conversely, if they accept your papers, then congratulations, you will have made a valuable contribution to science, and you should be proud of that, but publishing a book…that doesn’t impress scientists.